За окном осенние деньки, холодает и чтобы немного порадовать вас, я решила устроить мой первый Giveaway! Подарок будет очень актуальным - уютный и теплый вязаный снуд из моего магазинчика Knit and cute. Он связан из объемного хлопка, поэтому ни за что не будет колоться! 2. Быть фанатом странички gvozdiShe на Facebook (кнопка "Мне нравится"). 3. Оставить комментарий к этому посту с указанием e-mail, по которому с вами можно будет связаться в случае выигрыша. Победитель будет выбран случайным образом и объявлен 2 ноября! Outside the window the autumn days, get colder and I decided to make my first Giveaway! The gift will be very relevant - cozy and warm knitted snood from my shop Knit and cute. This snood made from soft cotton, so won't prick. 3. Leave a comment in this post with your e-mail. The winner will be chosen randomly at November 2th! Здорово. А если меня нет на Facebook , то я в пролете? Что то не получается с регистрацией. Но попробую еще. You look really great. I like the panda sweater. Thanks for your nice comment :) Of course we can follow each other, because your outfits are great. №13 тебе, Юля, и удачи! Привет, шикарный приз и отличный блог, участвую. у меня нет странички на facebook просто хотела отметить что ты шикарно выглядишь,образ замечательный! Очень классный блог! С радостью поучаствую в розыгрыше! Приз замечательный и очень нужный! i hope i win! followed your blog and liked facebok! Репост - вк и на fb! Красавица ) хороший образ ! I love it but I cannot participate due to the italian legislation! But, dear, I can't see your email! I follow you, but i skip this give-away! loves! Awww this snood looks so warm and fluffy!! I added you :-) and liked your FB page as "Modenfer" ! Hi Lidia, nice giveaway! So I follow you already on gfc and bloglovin, just liked on bloglovin your latest posts. Now I follow you on FB too/chris ed, I´m like nr. 47 there. Oh what a cute panda sweater! Love it! Following you in bloglovin' and fcbk! Лида, спасибо большое за такой прекрасный розыгрыш. Подписана на блог через gfc давно, а сейчас подписалась еще через Bloglovin. Лайкнула страничку и сообщение о розыгрыше на фб. Спасибо вам за замечательный приз)- желаю всем удачи! so cute!!! I have one very similar ;) !! good luck every one!! I am not participating to the giveaway, just writing to tell you that your pictures ae fantastic!!!! love them, do you use a filter? Thank you for visiting Blush and your lovely comment. I am following you now and I'd love if you follow Blush. I'm following, follow back? Kisses! I'm having a giveaway on my blog right now too. You will be #39 ) Well I look into your blog too! this sweater is so lovely! such a cute panda. Why not hop on my to see if you're interested in the 'feature program' i have here in my blog? ps: i have no facebook account, so i could not "like" your facebook page, sorry for that. You will be #46, sweet! I really love the casual feel of this outfit, but it's also so cute! This snood really look so warm and comfy, but also stylish! 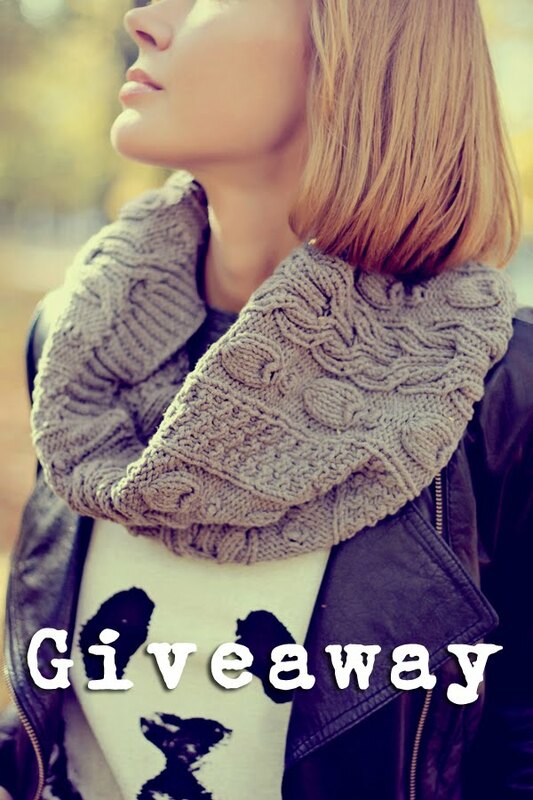 I would love this cozy snood, and I'm entering this giveaway by following you GFC, BL and FB! love this hot giveaway ! if you'd like to follow me also waiting for you on my blog! big kiss! Попытка не пытка! Лидочка,и меня запишите,плиз! I am already a member of your blog and I follow you on Facebook too (Isabelle R). Thanks for this giveaway, this snood is very pretty. очень люблю такие вещи, и сама даже вяжу..
Dear, you will be #59! It is my pleasure to follow you by GFC, Bloglovin and Facebook too. Btw it is a lovely giveaway! I follow you and join this amazing giveaway! !